A whole lotta people are going to watching Super Bowl LIII this afternoon — several million, in fact. Some will be cheering for the New England Patriots, while everyone else (except for fans of the New Orleans Saints, of course) will be pulling for the Los Angeles Rams. Whichever team you happen to be rooting for, it’s certain to be an action-packed affair. Or maybe you’re in it just for the commercials. If you’d like to check out the big game in style (or somewhere other than your cousin’s house), Peaks and Pints will be screening the game on all our screens, including the 135-incher. While it’s true that the game will be on at pretty much every single place where libations are being served, Peaks and Pints has more than 650 different craft beers and cider available to drink during the game, including five we’re tossing on a beer flight we call Craft Beer Crosscut 2.3.19: A Flight For Super Bowl LIII. 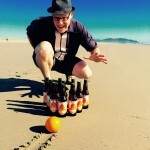 Fat Orange Cat Brew Co. is a small, seasonal farm brewery in East Hampton, Connecticut, but many of their craft beers, including She Drives A Plymouth Satellite New England-style IPA, is brewed and canned at Dorchester Brewing in Boston, Massachusetts. They specialize in small batch recipes making an effort to support and promote local agriculture. 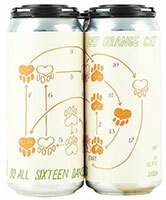 Fat Orange Cat’s Belgian saison Do All Sixteen Dances is brewed with Lemondrop hops for a light yellow pour with some light hoppy lemon notes and yeast. While technically not in New England, Decadent Ales sits a hop (get it), skip and jump from the Connecticut border. 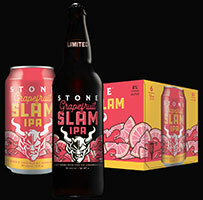 The Mamaroneck, New York, brewery is distributed by Twelve Percent Beer Project, the brewery arm of Twelve Percent Imports, and contract-brewed at Thimble Island Brewing Co. and Dorchester Brewing Co. in Connecticut and Massachusetts, respectively. 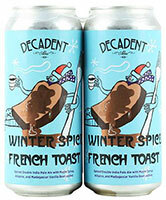 Decadent Ales excels at smoothie and milkshake IPAs, including their Winter Spiced French Toast. Holy Aunt Jemima! This double IPA starts off with pancake batter and caramelized sugar flavors followed by sweet Vermont maple syrup and cinnamon flavors. 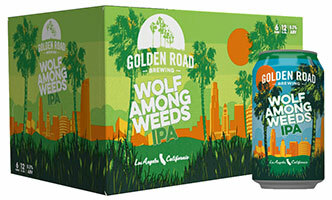 This is not your grandma’s double IPA. Thanks to the ongoing controversy concerning the NFL’s stance on a player’s right to protest, brought to the forefront by football’s top conscientious objector Colin Kaepernick, Peaks and Pints couldn’t find a band to perform during halftime of Super Bowl LIII. Therefore, Peaks and Pints will encourage everyone to go to the can and drink another beer, as was always the intended purpose of halftime. 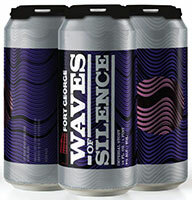 Speaking of silence … Fort George Brewery in Astoria, Oregon specializes in seasonal IPAs and stouts, including the new Waves of Silence imperial stout series. The first Silence, Allison, is brewed with dates, brown sugar, and plenty of oats. Each wave will be a unique experience, no doubt like this year’s Super Bowl halftime show.